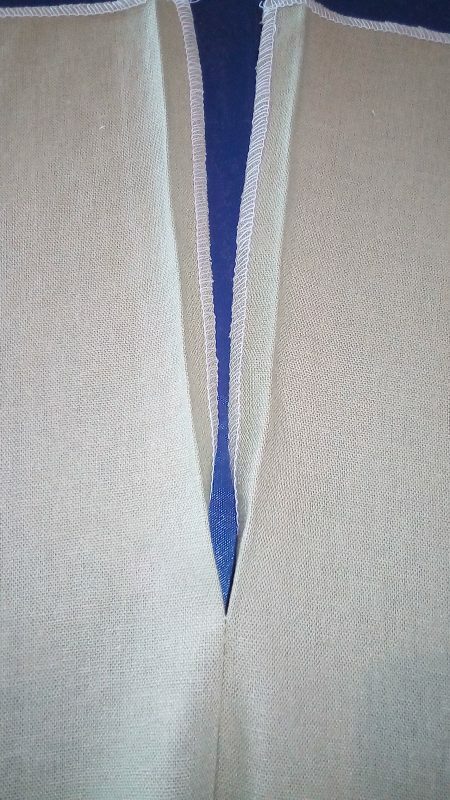 The invisible zipper is different from a conventional zipper, in both appearance and installation. 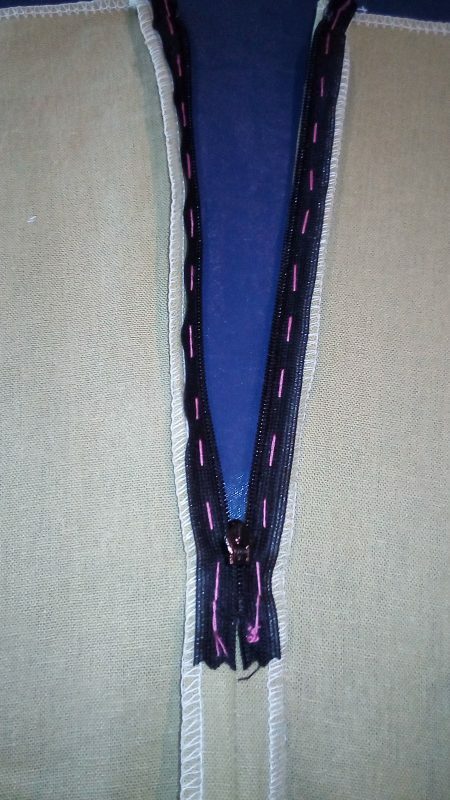 When this zipper is closed, all that is visible on the garment, is a seam and the tiny pull tab. 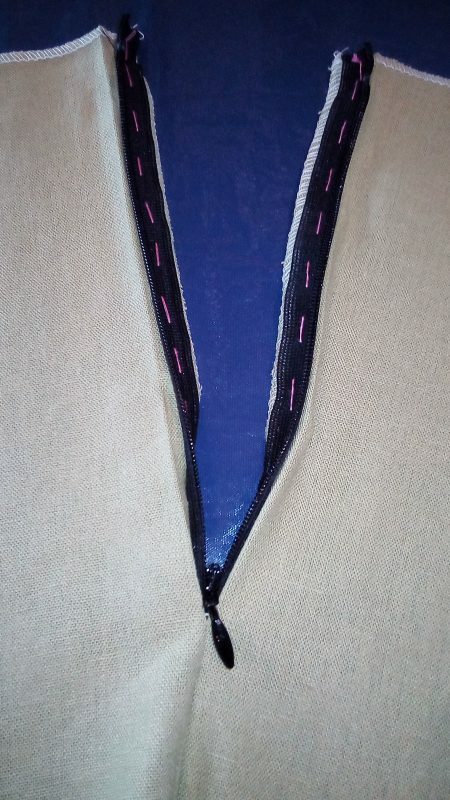 Invisible zippers are applied to open seam allowances and there is no stitching on the outside of the garment. Step 1. Press the seam allowance where the zipper is to be applied. Step 2. Place the zipper face down on the right side of the seam allowance. 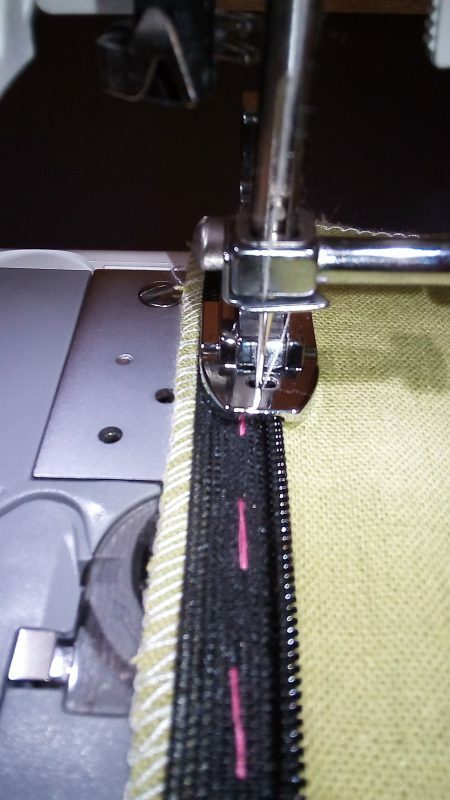 Align the zipper coil/teeth on the fold of the seam allowance and tack. Step 3. 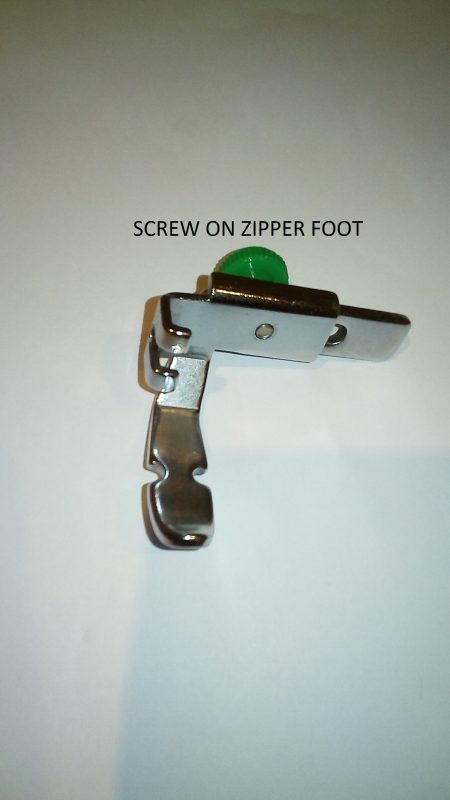 Attach a conventional zipper foot to the sewing machine. 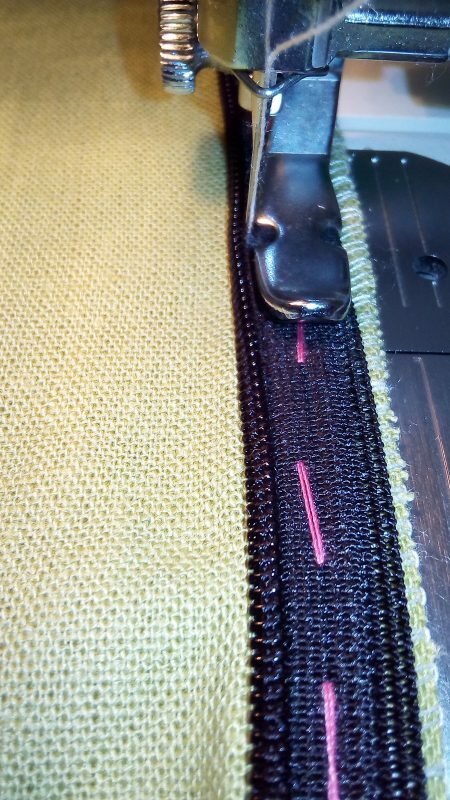 Starting at the top of the open zipper, push the coils gently to one side and stitch close to the coils, taking care not to catch it in the needle. 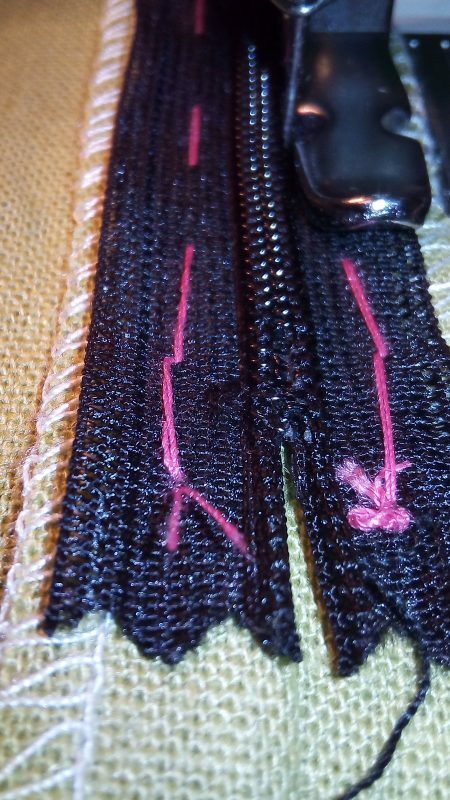 Stitch till the you reach close to the end of the zipper tape. Step 4. 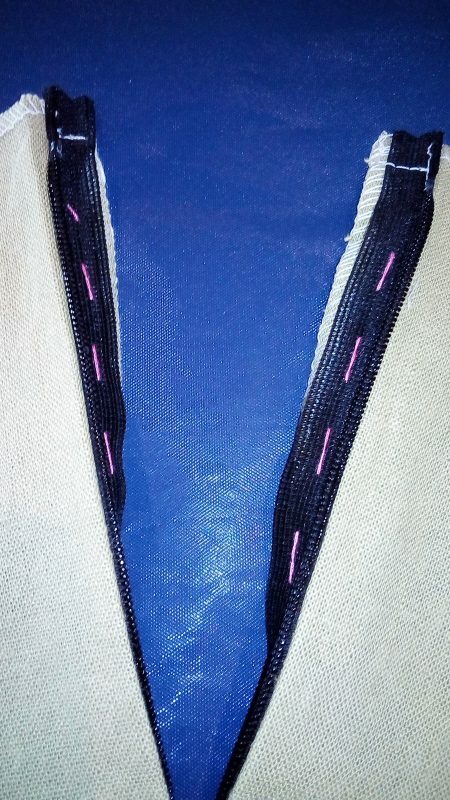 Close the zipper and continue sewing until you reach the end of the zipper tape and pivot. Repeat steps 1 to 4 for the other side. 1. 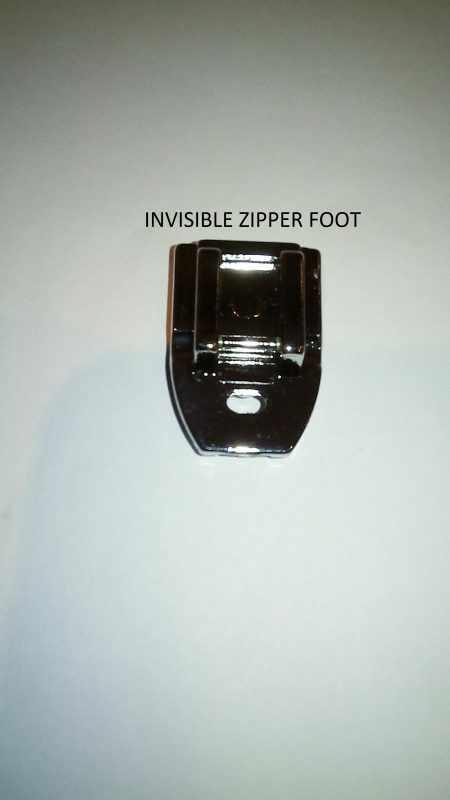 Attach an invisible zipper foot and fit the right-hand groove of the foot over the zipper coil. Stitch until you reach close to the end and pivot. 2. 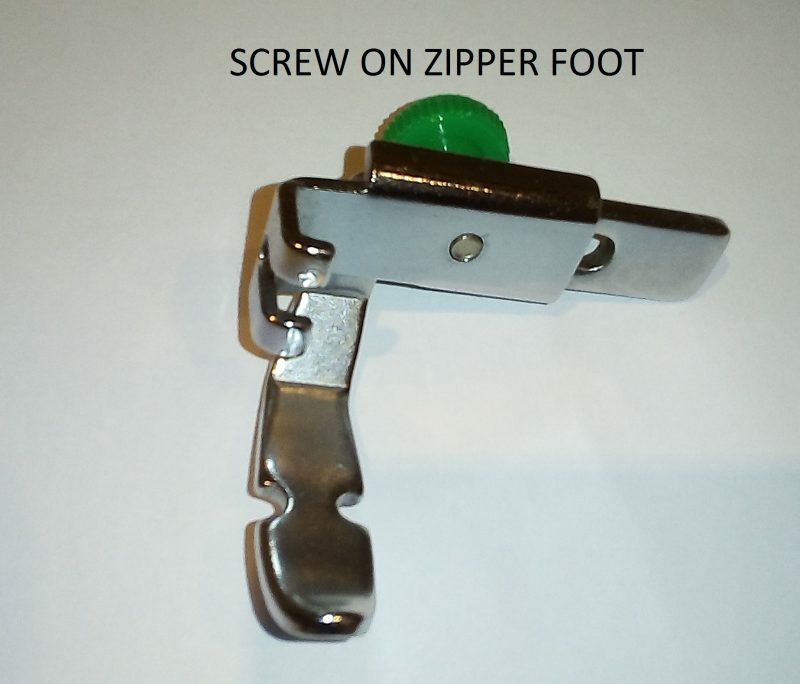 Close the zipper and attach an conventional zipper foot. Stitch till the end of the zipper tape and pivot. 3. Open the zipper and stitch across the tops of the tapes. 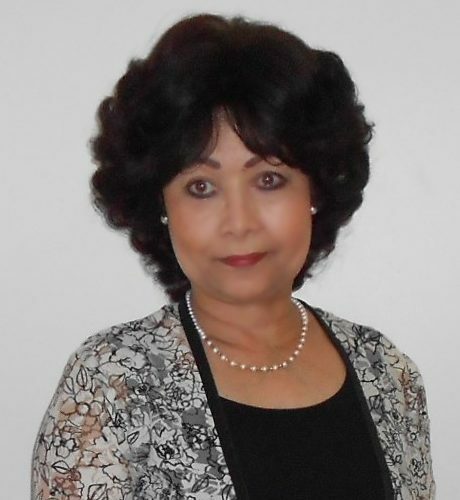 Next How To Sew A Skirt or Dress Slit.